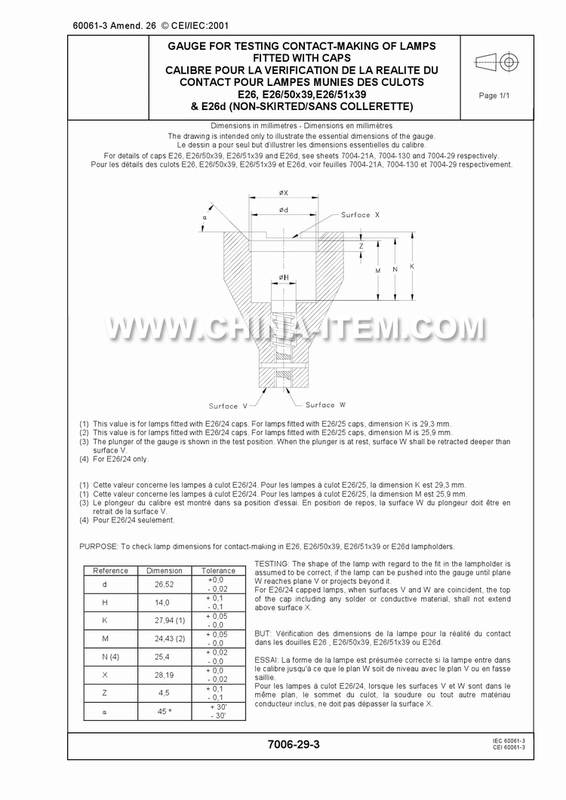 To check lamp dimensions for contact-making in E26, E26/50x39, E26/51x39 or E26d lampholders. The shape of the lamp with regard to the fit in the lampholder is assumed to be correct, if the lamp can be pushed into the gauge until plane W reaches plane V or projects beyond it. For E26/24 capped lamps, when surfaces V and W are coincident, the top of the cap including any solder or conductive material, shall not extend above surface X.